Religion – Page 3 – Traveling Epic! It was on a trip to Dubai where I was planning a trip to Tehran, and I found an 8 hour layover in Qatar. I had heard very little of this little Pearl in the Persian Gulf. Qatar Airways had all sorts of cool destinations and for a decent price I was able to fly spend a decent amount of time enough to get out and see the city. It was with a Jordanian Facebook friend’s, friend I met Mohammed Afana. I learned a few years ago to embrace the friends of friends and unless there are signs otherwise to connect with people in ways that otherwise would not be possible in such a short period of time. I had 8 hours or less with Mohammed, and we really became close. I have had a hard time expressing the connections I’ve made with the Palestinian people. On my technical blog I’ve shared a little, and it appears it’s been misunderstood. Below Muslim Education Center fashioned after a thousand year old Mosque in Iraq. I do feel for the Palestinian people, and my experiences with Mohammed Afana are no different than others I have met. He was extremely kind, open, caring, and was a brother to me while I was with him. His parents are refugees from Palestinian Territories, and he was born in Qatar. We learn from people and walking in someone else’s shoes. Mhmd’s a Judo expert. He’s very skilled. He actually competed at the world class level on the national team for years. He picked me up at the airport, ready to show me a night on the town. It was awesome. We started out by going to Souk Waqif a traditional bizarre and market. This isn’t the high end shopping, but has awesome shops that will much better help you connect with the locals. I ran into this sheik boy with his pet falcon! 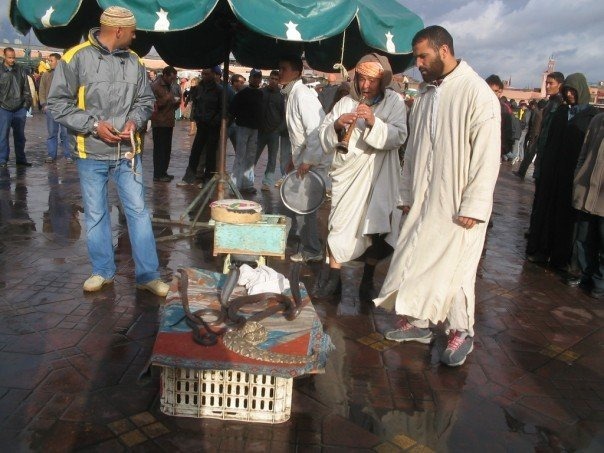 By the way, this Souk is only 10-15 minutes from the airport and truly is an old market that was built originally by Beduins from the desert to sell their wells. There are some great prices, and cool stuff you’ve never seen before. This cool sundial? reminds me of the Dark Chrystal. The white clothes he’s wearing are actually very comfortable. I had the chance to wear one while in UAE. They are very light and cool. It’s very understandable how modest, clean, and all together cool in how they keep the sun off your skin, as well as provide a covering. A friend of mine in Bahrain who wears both jeans and the white robe, prefers the traditional garb because it’s much cooler. As well the hatta or hat scarf on the head is great for keeping the sun off your head and neck. When I’m in the middle east I often prefer that as well as it is great for doing just that. It’s much cooler and keeps me from getting burned. While at the market I came across these cool traditional knives. I was considering getting one of them based on the reasonable prices, until I remembered I didn’t want to check anything at the airport… especially some kind of weapon on my flight to Iran. I loved that shop. They had such cool travel items. This traditional Muslim headdress and mask totally reminded me of my recent trip to Oman. The face guard almost looks metallic. When I first saw one on a lady I had to do a doubletake and had to slow down to take a picture… likely the opposite reaction that the lady was looking for. I would say in my time in the middle east I did gain a great respect for the women’s clothing. The flowing robes became very attractive and the mysterious eyes. Some of those eyes were just so incredible! Again, I know it’s the opposite of what they are going after… I guess. I ended up bringing back some traditional Muslim robes for my wife. Which I’m sure she appreciated. I also brought back what I call the Emirate robes. We make quite the couple. We look just like the couple above. Some days in the summer I will put on my robes for around the house. 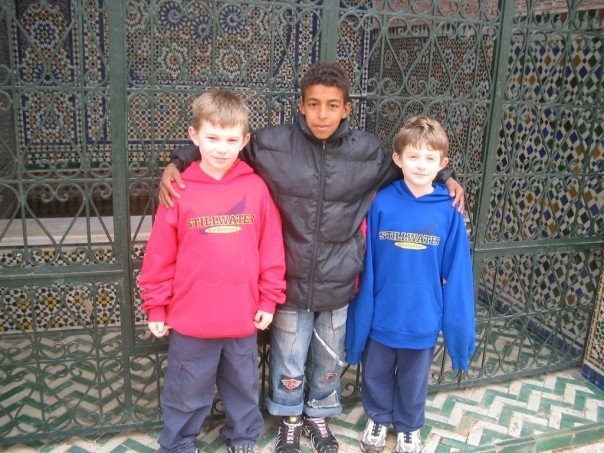 I’ve got a much thinker one I got in Morocco that I wear in the winter. Sometimes I feel like I look like a monk in my big thick brown robes, another ironic moment. Doha is from the future. You’ve heard about how these amazing tall buildings and structures have gone up in Dubai, UAE. What you may have missed is that Doha is really where it’s at. Doha got it’s wind right after Dubai and has had some fantastic architecture put up. The night sky is filled with crazy lights on fascinating shaped buildings. It reminds me of a lazer light show on the buildings. It’s far from boxy. You get pin cushion looking buildings, and buildings that look more like puzzles, and cones, and twisty looking towers. Awesome. You also may have heard about the Palms in Dubai. This place where reclaimed land from the sea was pushed into the shape of Palm leaves? Well in Doha Qatar it’s the Pearl. You get this amazing island in the shape of a clam with a pearl in the center. The shopping rivals any 5th avenue, or High Streets of Europe. 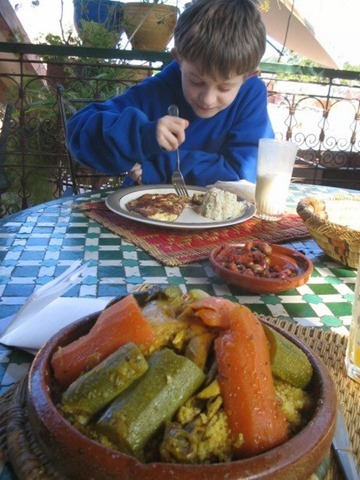 Looking around the photo, you can see the humus and oil as well as lamb shanks. For lunch we stopped at an Iraqi resteraunt. I hadn’t had Iraqi food before and it sounded fascinating. The food was great. I had mixed grills, lamb, beef, chicken, tomato, onion… looks great doesn’t it! Awesome fresh grilled fresh food! After dinner we got out on the water in some traditional Persian boats that almost looked Chinese. The Corniche is a great relaxing place to walk. Lots of locals walking along the shore. As well, we saw some high end shops… and ultimately ended the late night with some Turkish Schwarma, the place was packed! Yum… some of the best schwarma I’ve ever had. Qatar did not dissapoint. It was a great stopover. I would go back in a heart beat. Great people, amazing experiences, great food, beautiful water experiences. It’s amazing how they’ve made this desert Oasis bloom. Leaving a friend behind who I had just met was with mixed emotion. 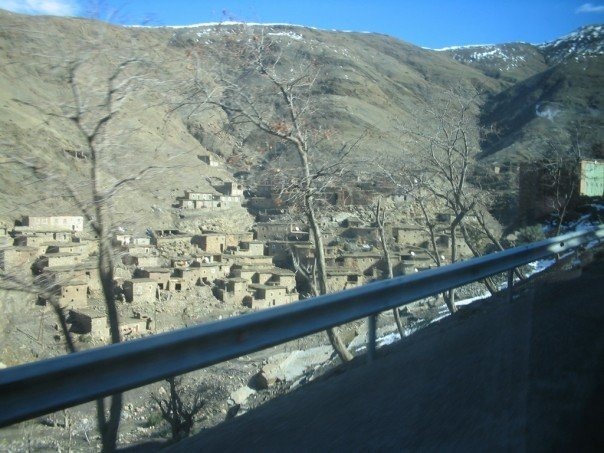 I wanted to stay, but was looking forward to my trip ahead… Iran. I was inspired by a photo on Bing. I saw what looked like huge granite rocks with old buildings hanging off the sides. 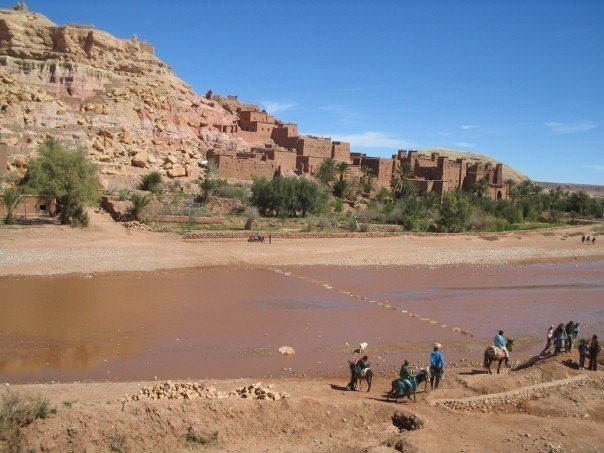 As I did research I found these monasteries from 500+ years ago that continue to exist in inhospitable places. I was sure they were designed for protection back in the day, but I had to see these wonders. They seemed so incredible. 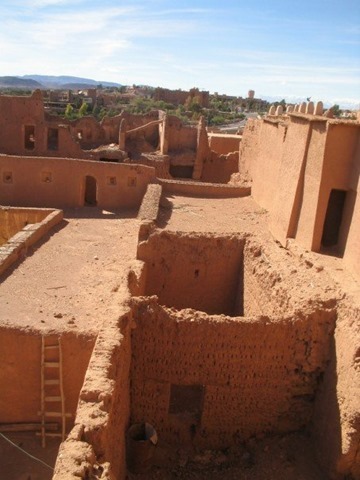 These are protected as UNESCO world heritage sites. Wikipedia article on Meteoragives us a little info on the age… The cave of Theopetra, Kalambaka, radiocarbon evidence for 50,000 years. In the 9th century, a group of hermit monks moved up to the ancient pinnacles. The oldest monasteries are from the 13-14th century. I planned out my trip. I’d fly into the closest airport I could find, Thessaloniki and assume that I could either rent a car or pay someone to take me. (I later found Volos is 2 hours, so it’s a little closer but wasn’t as accessible.) There is actually a train (3 hours) leaving every 2 hours. I was in a big rush and ended up paying a taxi driver and while I can’t say it worked out perfectly because his estimate for drive time was off by an hour and I missed my flight, but I will say it was worth it to see these amazing cliff monasteries of Meteora Greece. The Wiki travel page explains there are a total of 24 monasteries atop rock pinnacles. 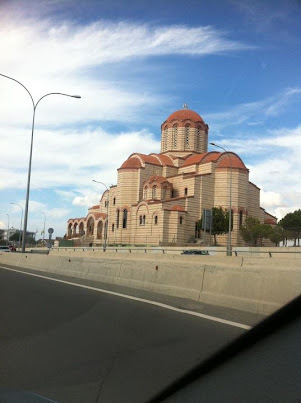 The drive was actually about 3 hours outside of Thessaloniki. It isn’t well marked, and this did cause some confusion for my driver who knew they existed and had visited the cliff monasteries, but didn’t remember exactly how to get there. Driving through the Olympus mountains themselves was quite surreal. Next time I’ll definitely rent a car and spend way more time in this much quieter part of Greece. Athens was nice, but Northern Greece and the Thessaly and Macedonian region is so beautiful and peaceful. I won’t get into the dispute of FYOM Macedonia which I blogged about previously. Looking out at Meteora and Kalampaka from above one of the cliff monasteries. Above: View of the city Meteora from atop one of the cliffs. There are a huge variety of different monasteries. One of the most famous is Agias Varvaras Rousanou. At first I thought there was only one with just different angles. You can visit the monasteries for a small fee around 2 euros each. The hours are limited, so be sure to check open hours. Night view of the Acropolis in Athens with my traveling friend Paul Swider. As a Christian I find visiting the city that the Apostle Paul wrote about in the Bible. 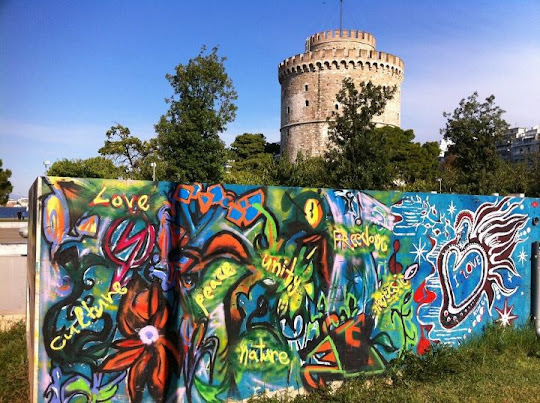 The book Thessalonians is based on a letter to the people living here. That’s cool stuff. I recommend Ephesus in Turkey as well for similar reasons, and may be a good city to add on to this trip. The Greek Orthodox churches in the cities, while still cool looking definitely don’t have the same feel as those in the cliffs. I really, really love South East Asia. 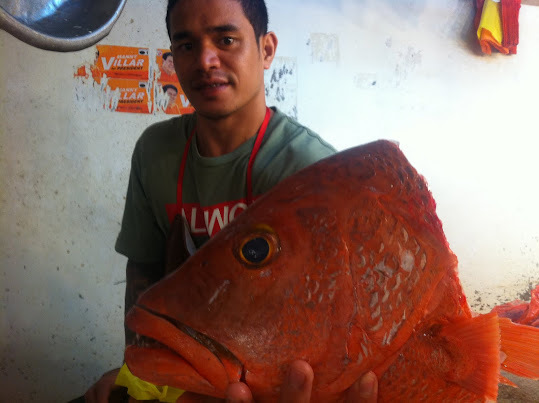 Going to Manila was a huge treat. One thing that’s always important to me whenever I visit a place is to see the place in it’s authentic beauty and warts. I want to see the best and not best of a place. We were staying at the amazing Shangri la hotel, one of the most beautiful hotels in Asia. They are famous as having 5 and 6 star hotels in the big capitals in Asia. 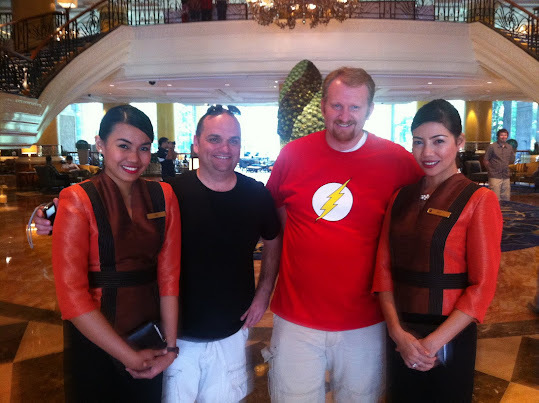 Paul (black t-shirt) and I (in the red shirt, yes flash, and yes Big Bang Theory) were happy to pose with the staff. Beautiful hotel. Very posh. We were definitely very pampered. One thing you should know about Manila is it is very easy to spoil yourself. 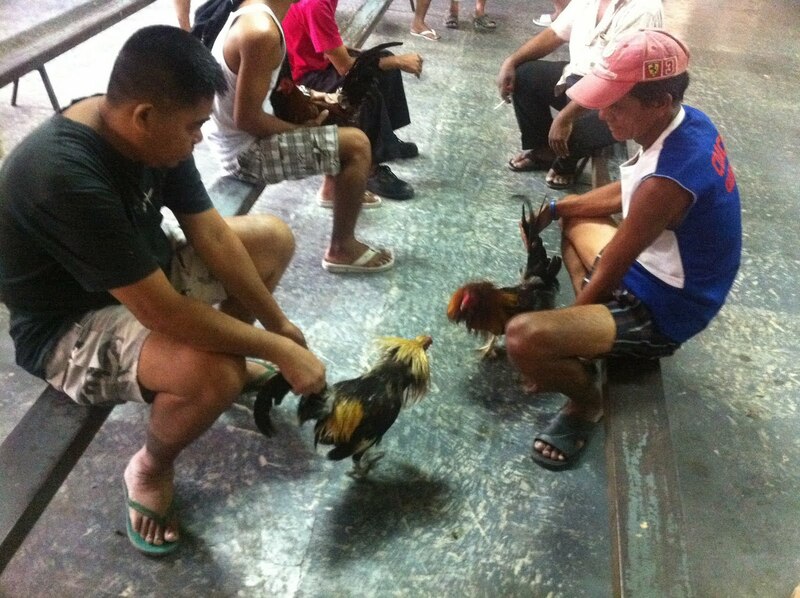 Manila is very modern, and you can get anything you need. My friend Dux Raymond Sy, who is very popular in the SharePoint community grew up in Manila. It was great to meet his family. Dux moved to the U.S. and if you talked with him you’d have no idea where he came from in fact he speaks perfect English. No accent at all, and smart, very smart guy. We were all in town for Sharing The Point Asia which would get us to China and Vietnam as well. Fabulous tour. We had a day in the nicer parts of Manila, and had some amazing food. I was then very anxious to try other foods. One early morning Michael, Dux and I escaped early to catch the sunrise over the sea. We got up early enough we could get the first catch. 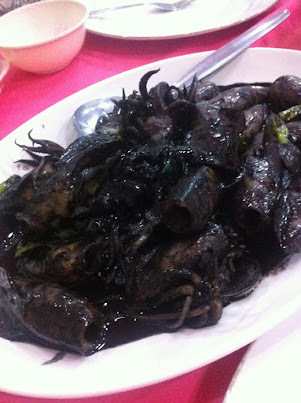 We had squid in it’s ink, prawns, and very fresh sushi. Amazing seafood breakfast. When I was planning our Cancun vacation, my wife was thinking… we’ll chill on the beach at an all inclusive resort, and I was thinking… we’ll grab a rental car and pick up as many of the Mayan temples as possible within a 2 week period. Finally I can see one of the 7 finalists of the new 7 Wonders of the World – Chichen Itza. As a traveller I was anxious to see real wonders of the ancient world. I love temples, I love archeology, and I love the mystery that surrounds these massive new world temples. 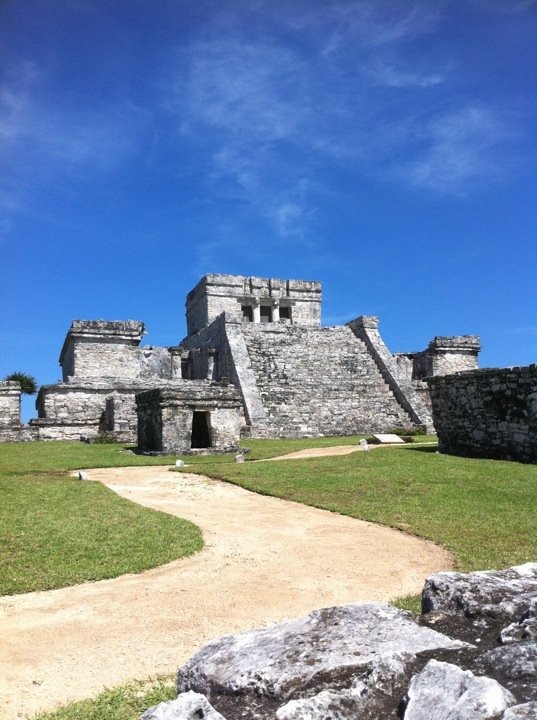 I also was incredibly interested in Tulum on the coast, and my ultimate Tikal the Mayan Capital. We know so little about the Mayans, but I was surprised to find out they weren’t totally wiped out. There is a group of Mayans that give the tours in Tulum, and they speak the ancient Mayan language. It’s so, so sad that the culture has so much of who they were. They lost everything. A few documents recently were rediscovered in Germany referred to as the Mayan Dresden Codex. Which some point to as the source of the 12, 21, 2012 apocalyptic date or the beginning of 1000 years of peace, but “A German expert who says his decoding of a Mayan tablet with a reference to a 2012 date denotes a transition to a new era and not a possible end of the world as others have read it…The interpretation of the hieroglyphs by Sven Gronemeyer…He said the inscription describes the return of mysterious Mayan god. Continue reading on Examiner.com German Mayan researcher’s 2012 conclusions. Cool. Beginning of the end of the world or return of a Mayan god… Bearded white god? (By the way, ask to see the rock carving of the bearded god at Chichen Itza. It’s pretty cool. If it’s Lief Erickson or Jesus or insane stone carver it’s mind numbing given the carvings all around it. Seriously fun stuff. You gotta enjoy the speculation and not get too caught up either way, since we can’t know. While I don’t think the end will happen in December 2012 (No one is suppose to know the day or hour when Jesus is coming back Matthew 24:36), I have used it as an opportunity to be prepared for disaster. In my church, we have been asked to have a year supply of food on hand in case of disaster. It has paid off with members all over the world. As recent as the tsunami in Japan and earthquake in Hati, the members who obeyed have been blessed. 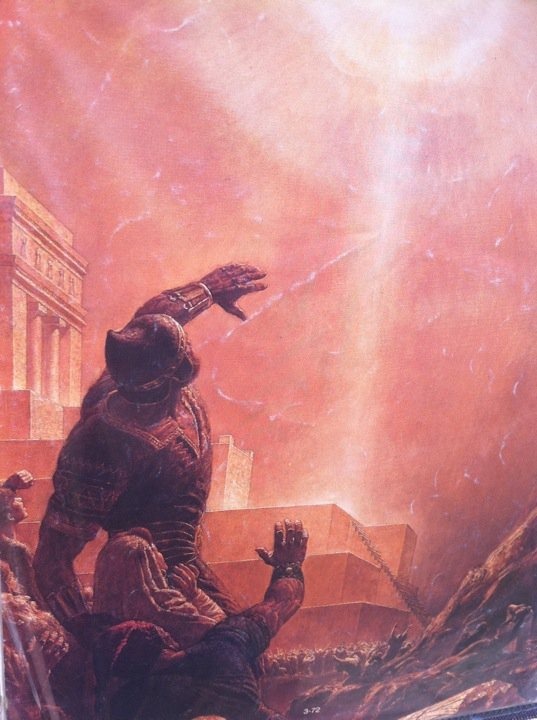 As a member of the LDS Church there is a fascinating Book of Mormon back story of Christ in the Americas and Artists often paint pictures of Christ appearing to the righteous people in 3 Nephi 11 with the back drop of Tulum. There are Mormon tours all over this region. In fact we discovered that more than 30% of the guides in Tulum were Mayan members of the LDS Church. It’s understood that there really hasn’t been any LDS revelations on the locations, and anything discovered is purely speculation. Our guide at Tulum was actually a Mormon Bishop named Mosiah. It was a quick tour, which really didn’t add any info on what we had already got from our tour in Chichen Itza. He shared pictures of Tulum where light shines through specific building on April 6th, and sold us a tree of life medallion. Great stories. Amazing place. While I didn’t necessarily subscribe to all he shared, I was fascinated with the history of the Mayans, he being one himself. The PC accepted story is that Mayan calendar simply points toward a new era. Great. Others are looking for the Age of Aquarius. These grandios temples are mucho bueno. Very incredible. 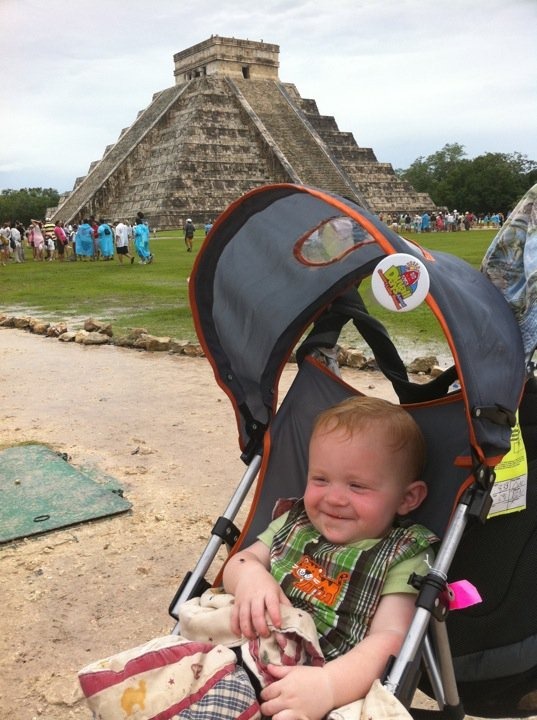 Left: My trooper, Dean at Chichen Itza. This is 3 of 7 New Wonders for him. He’s been to Machu Picchu and the Great Pyramids in Egypt. 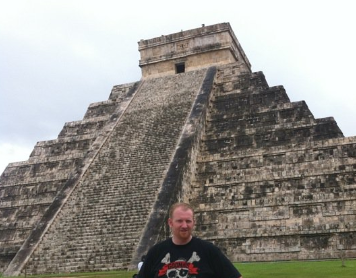 Travel Tip: I do recommend highly recommend seeing Chichen Itza. I do recommend getting a negotiated tour there. There are some inscriptions and history that you’d miss otherwise. There are a lot of things to point out in the area. There are half a dozen buildings and a great ball court area, and you need to know more about the rules of that game and what happens to the winners and losers. Those stories you must hear. There’s a lot of inscriptions and interpretations and stories you need to hear. We got the 2 hour guided tour, that we negotiated on the spot after we arrived. It wasn’t too outrageous. 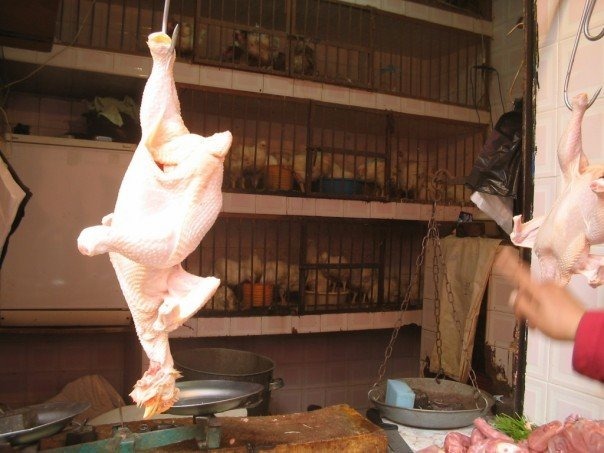 There are a lot of people that can give tours, so shop around and negotiate. Don’t take the first rate you hear. Many hotels in Cancun can arrange transport and tour as well. Just don’t over pay. There is a lot of cushion. In relation to Cancun both Tulum and Chichen Itza are both day trips. There is a toll road all the way to Chichen Itza from Cancun. You’ll pay 20-30 USD for that trip one way! We decided we’d take the scenic route on the way there, and hurry back. It is a difference of about an hour. You can get to other ruins as well including Coba. I didn’t make it to Coba, we were with my wife’s family and Jeff got sick, so we missed out on that one, but that’s ok because my eye was on the ultimate prize of Tikal, Jaguar temple the largest temples in the new world. In contrast to Chichen Itza, I do not recommend the tour in Tulum. The buildings are a lot smaller, things are close and if you did this one after doing Chichen Itza there’s a lot of overlap. Our tour may have ultimately been 15 minutes of explanation and he didn’t even walk the whole thing with us. Don’t miss the views from either side of the temple near the water. There are some great photo shots by of Tulum by the water. Another reason to do your research of Tulum ahead of time and get the guided tour at Chichen Itza. I had seen most of Western Europe when I visited the Balkans, but I wasn’t prepared for the beauty and raw elements of war I would see. Mountain views, lakes and valleys that would rival the best of Switzerland, rivers that rival the beauty of Idaho’s and untouched wilderness, the bridge in Mostar rival the arches of the canals of Venice, but evoke an emotional response. 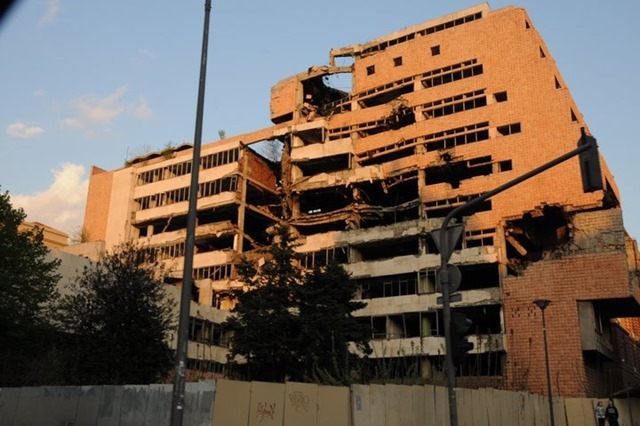 The worst of the war torn parts remind me of some parts of Beirut. Even the West Bank has been more cleaned up than some of the pits out of the buildings in Sarajevo. The stories of the rebuilding of the Synagogue in Sarajevo… How many times can a building be rebuilt? In contrast, Roman emperors vacationed in Croatia. Dubrovnik and Split are incredibly scenic and would rival that of any ports in Italy or France, and a fresh seafood or fish dinner would cost you much less. I guess what I’m saying is, I loved it. 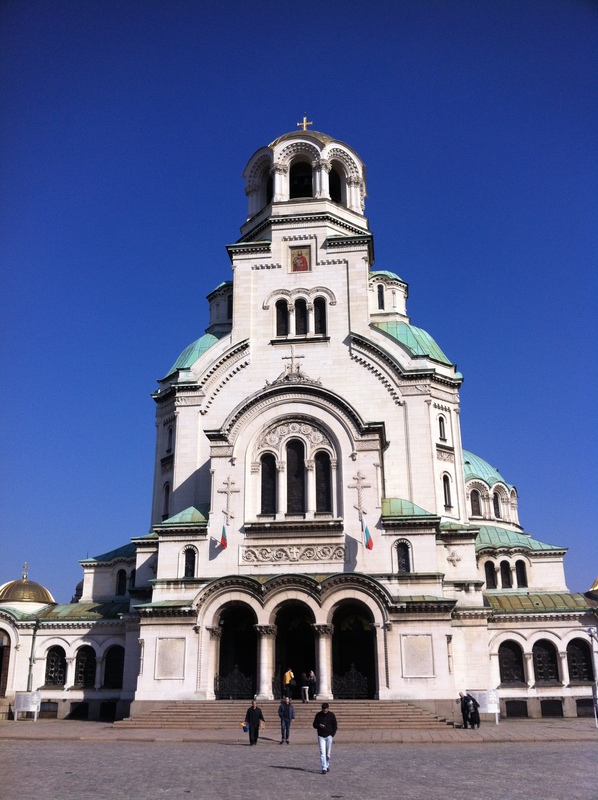 Belgrade and Sarajevo are the hidden gems of Europe, the passion and life, and recent history to blow your mind. The travelers looking for secrets in Europe. Here’s a great place to start. It’s the Balkans. Some of my best friends in Europe. There’s something that goes deeper here. Relationships are stronger, and go deeper, you can feel it. My trip started in Zagreb the capital of Croatia with a night tour. 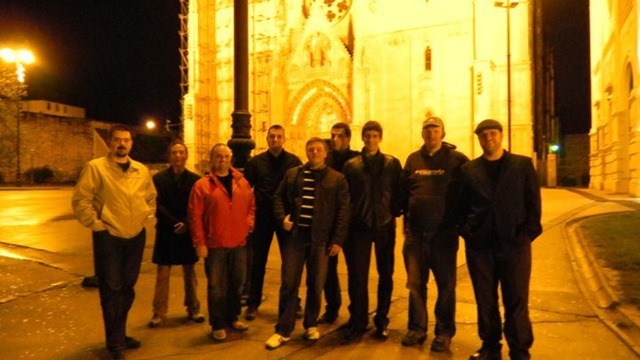 We met up for a great dinner and ended up walking around parliament, and old town Zagreb. Zagreb itself did avoid much of the conflict in the Balkan conficts/wars that happened back in 92-93. Remnants of the war are still visible. There are more reasons to come and visit than the incredible night life. There are fresh memories that will teach the world a lesson… this lesson is war is not kind to anyone. War should be avoided at all costs, and the horrors and nightmares of war are real. Those who only vacation at Disneyland or Disneyworld and spend their vacations with the Grand Canyon as the ultimate bucketlist need to come for a visit. This land has a lot of lessons to teach. When we got close to the Republik of Srpska we came across these signs. After spending time at the Cambodia land museum, I have been convinced that land mines do more danger to the citizens that have to live with these than any good they do for the military. There are some crazy stats on how much the people are impacted by these. Now before you think it’s all doom and gloom, that’s totally not the key take away. It’s the opposite. In fact my friend Michael, who I was traveling with, recently wrote about his experience on this same trip. I highly encourage reading about his writeup on the former Hapsburg empire – Serbia, Romania, Bosnia & Herz, Montenegro, and Croatia. This trip started with a fellow colleague who lived in Croatia, Toni Frankola, a speaking team of Michael Noel, and Paul Swider. This place is amazing, but as an American tourist, that gets a rise out of seeing something unlike anything I can find within the US or Western Europe. I get excited. This was one of the best Europe vacations I’ve ever done. I’ve seen Dubrovnik and Mostar on the front page of Bing on multiple occasions. They really are spectacular. The castle in Belgrade was an awesome place to walk around. The cultural music and dancing we got at night was spectacular. Very fun environment. I think it was a good thing for Toni as well, as he recognized some of the tunes, and was surprised to see the similarities between Croatia and Serbia. Good stuff. Black Sea to the East, Turkey and Greece to the south, Macedonia to the Southwest, and Romania to the North. 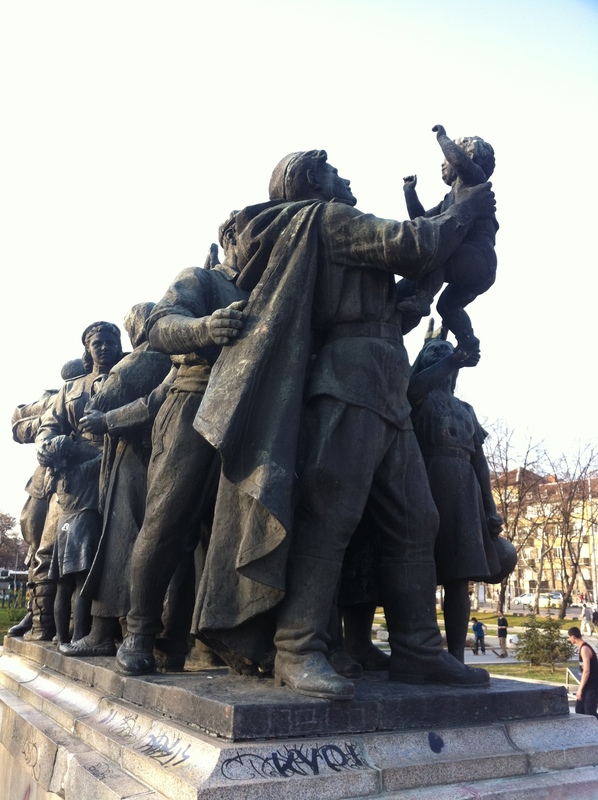 Sofia is a feast of richness in culture. 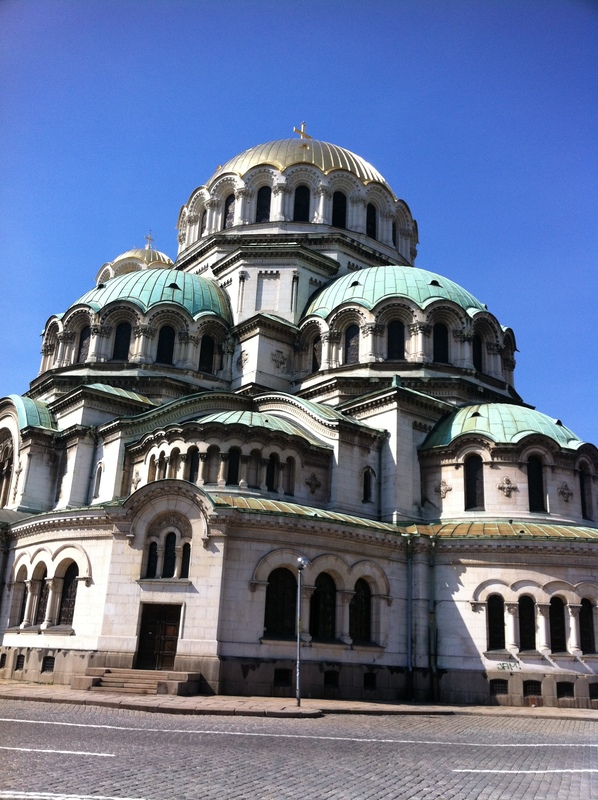 I had a 5 hour stopover in Sofia on my way to Istanbul, and I asked the Taxi to drop me off in the center of town. 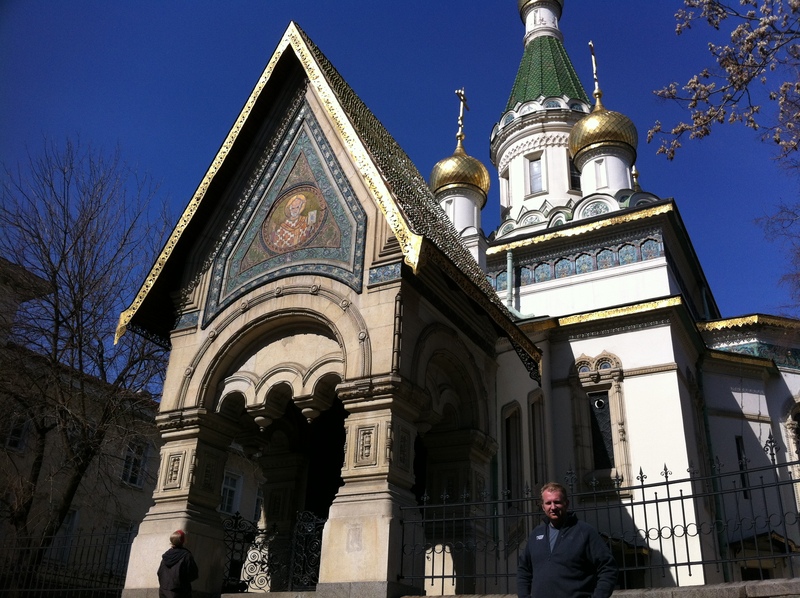 As we got close I saw this amazing gold roof, and I asked him to drop me off at what I’d find out was Alexander Nevsky Cathedral an Eastern Orthodox church that can support 10,000 people. What a fascinating area. First you just start walking around and you find amazing vendors selling antiques. Antiques including old money from Yugoslavia, Germany, Iran, Iraq, across the middle east and various EU countries prior to their adoption of the Euro. Amazing masks, art work, and antique razors, knives, and swords. What a beautiful area to wander around. Next door sits St. Sofia a crazy old church even for Europe. On the site of the church in the 2nd century was a Roman theatre, and over the next couple of centuries were built churches only to be destroyed by Goths and Huns, and in the 6th century was built the Hagia Sofia church, a contemporary of the Hagia Sofia church in Istanbul. 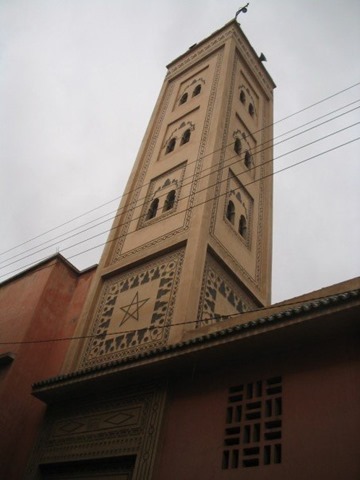 In the 16th century it became a mosque, and the mosaics destroyed. Now one of the most valuable pieces of early architecture in Southeastern Europe. The city took it’s name from this church. The young population of the city breathes life in a big way. My second visit to Bulgaria a week later after having traveled across Albania, Kosovo, and Macedonia to then drive from Skopje to Sofia in 3 hours with an impressive taxi driver. 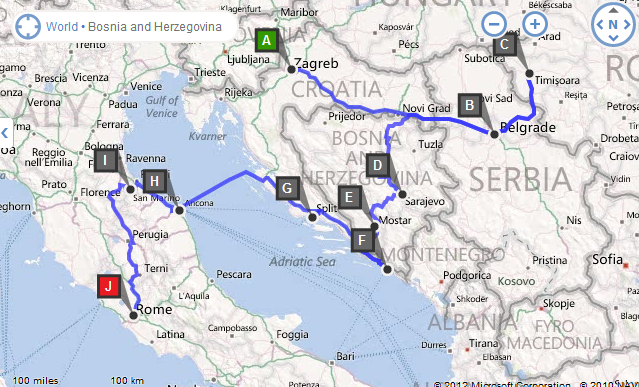 One estimate we had in Sofia was an 8 hour drive. My hat off to our Macedonian driver. The same driver who took us to meet the Roma. I’ve seen skaters in large cities in Europe before. In fact in Paris, I saw huge jumps setup in a park, but in Sofia it was different. Here it was as if the youth were the center of the city. There presence is more important and embraced. Vibrant youth. Radical change. Hope. I met one such youth. Yordan. He is full of hope, he is full of energy. He was playing his accordion for fun. It added a cultural element to the air. We had a quick chat and extremely quickly we became friends and built trust. Speaking of hope… I spent a few days with these guys at MS Days Bulgaria. 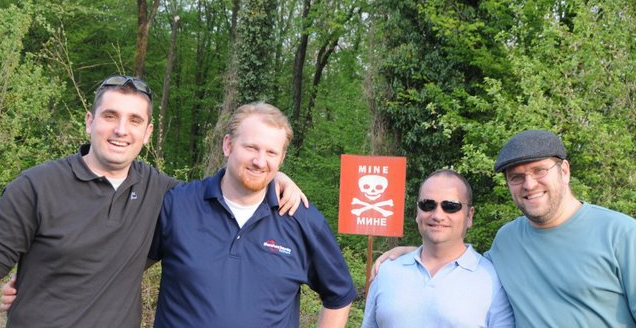 Two company owners and Microsoft Employee. 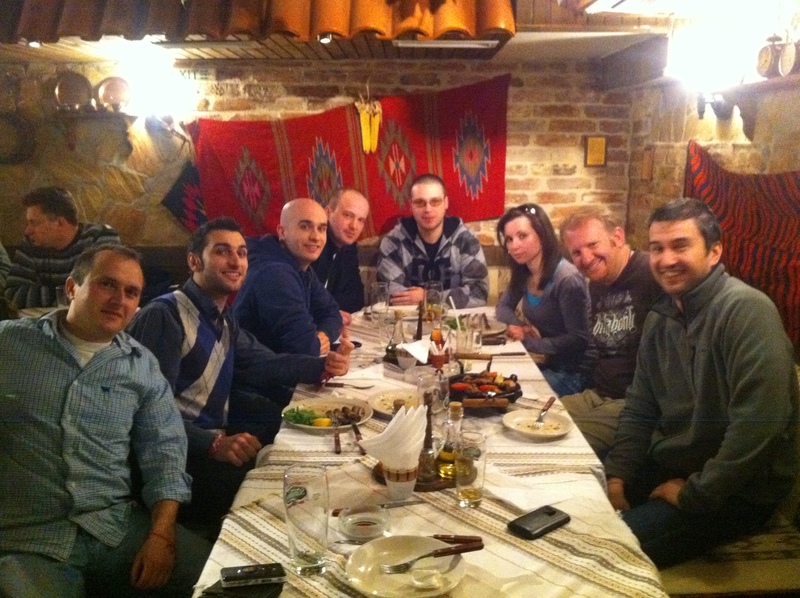 Radi, the Ninja Master, opened up his office and on my way home I had dinner with his team. Again, passion, energy. The old guard is getting old and retiring, there’s a lot of change a foot in Bulgaria. A new generation is building businesses and generating successful employment. Over 1000 attendees came to the event held in a very new Movie Theatre complex. 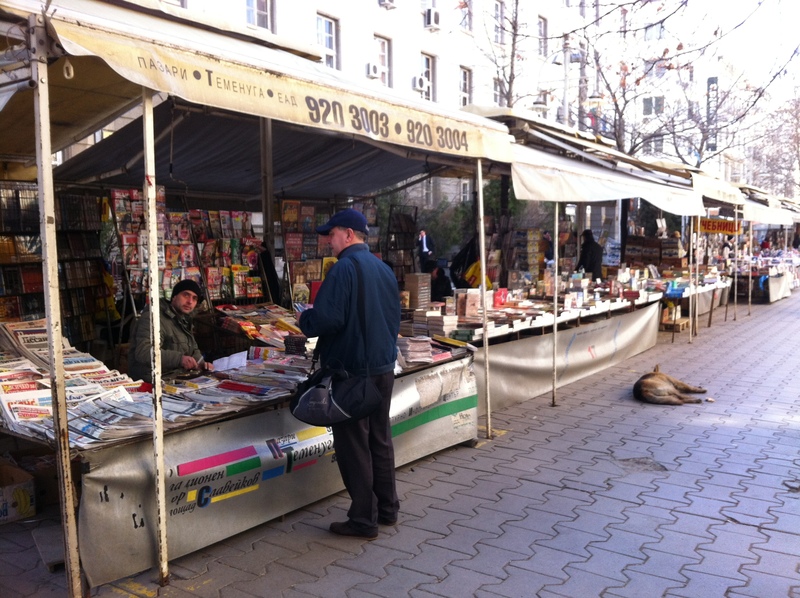 One of the coolest things about Sofia Bulgaria is the various fresh local markets. While the antique market may be catering somewhat to the tourist. The book market, the fruit and fresh market, and the vendors in the area. Encouraging passion, intelligence, and getting people out into the streets engaging. The culture is very open, very talkative. Travel Tip: We had no problems with metered Taxis, but yes you might pay more than twice more if you don’t negotiate a local price. Use the OK taxi, use the meeter and you’ll save a bundle. Don’t believe them when they say fixed price from the airport, and don’t take a taxi that isn’t in line. Those soliciting are going to charge you more than the yellow OK taxi. The parks aren’t setup specifically for the tourist. A book market… YES! Can you believe it! Knowledge is power, and whether it’s the book market or the extremely passionate chess games with crowds as large as 20 people watching the intense game. There’s something going on in Bulgaria. It’s called life. 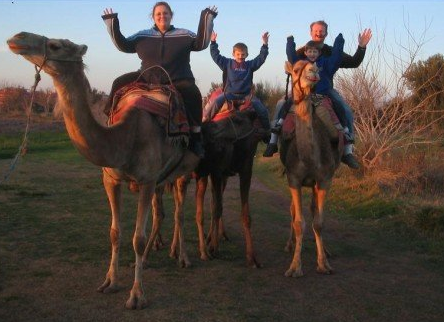 Sorry to say… I had a delay on my way home from Turkey which caused a domino effect. 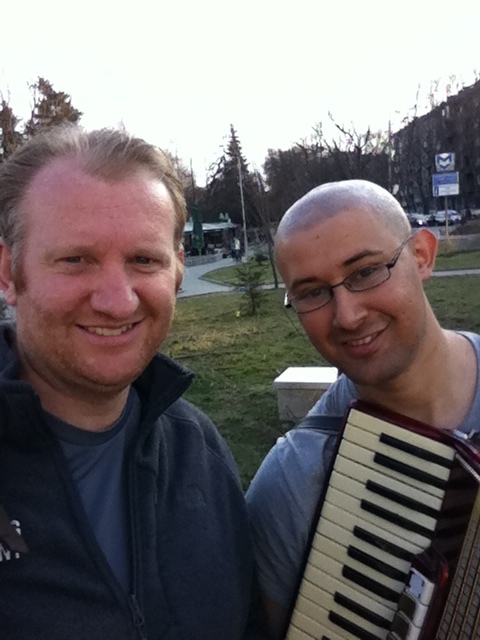 It did put me in Sofia for another 5 hour layover, a third trip to Sofia in a 10 day period and rather than sit at the airport lounge, I reached out to my new friend Radi who invited a few friends. Many thought it was an April fools joke. One of the things I loved most of Sofia was how easy it was to find incredible food. I didn’t have a single dish that wasn’t incredible. The salads, the soups, the vegetables… I don’t think I’ll ever rave so much about various red and green peppers, cucumbers, egg plant, TOMATOs, and the cheese… yes the cheese. I mean really, they were spectacular. I’ve never tasted anything like it, there’s something in the soil, or something. I have to imagine organic plus no chemicals, hormones, no accelerated growth, or weed killer. Something I just can’t get in the US or in Western Europe. When I saw goat head on the menu, I was getting a little excited. The guys had some fun with that. Unfortunately Goat head wasn’t available. Parts and pieces depend on what’s available. A crossroads of East and West, Bulgaria may hold an important piece of the future of Europe and hence the future of our world. Often overlooked, but sleeping spark of economic growth. While Greece, Spain, Portugal and others slow, there’s a sleeper that is emerging. Let us welcome Bulgaria to the world stage. I’d definitely welcome a Bulgarian restaurant in my home town.